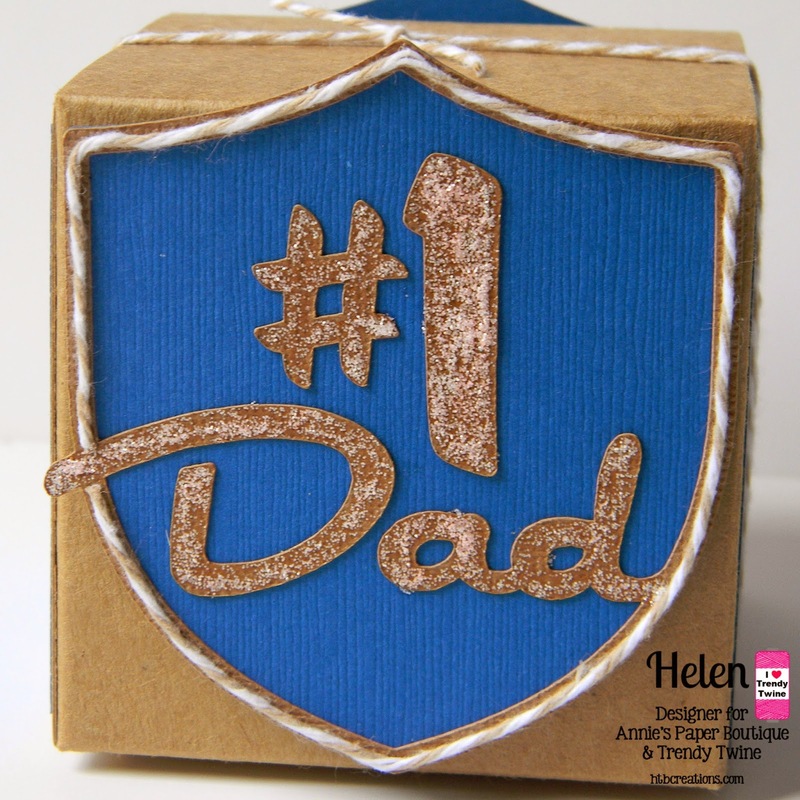 This is perfect for Father's Day! Awesome showcase of both the 3x3 box and Kraft twine! Love it Helen! Great use of that cricut cut! I love the Kraft Trendy Twine. Awesome Father's Day treat box, the badge looks fabulous! Fun color combination too! Have a great day! Such a cute design...love the badge! Perfect in every way! Love your fun box!! Great colors too!! I love this box Helen! So CUTE! 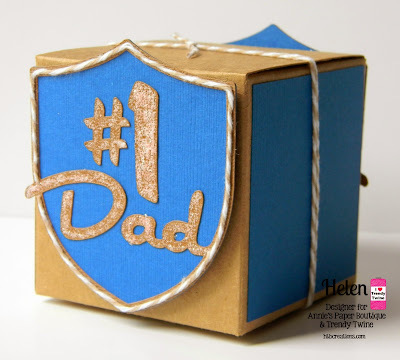 Helen, your box is super cute!